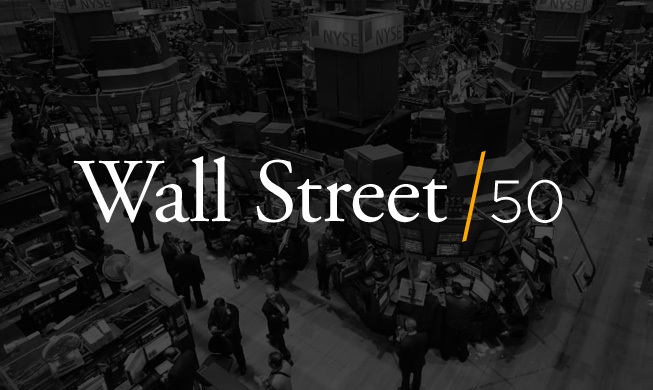 Irish America magazine’s annual Wall Street 50 recognizes the outstanding accomplishments and success of the best and the brightest Irish-American and Irish-born leaders of the financial industry. On October 3, 2019, Irish America will celebrate the 22nd Annual Wall Street 50 Awards at the Metropolitan Club in New York City, with Kathleen Murphy, President of Fidelity Personal Investing, delivering the evening’s keynote address. Previous keynotes have included Eileen Murray, co-CEO of Bridgewater Associates; Shaun Kelly, COO of KPMG International; Tim Ryan, Chairman of PwC; and Daniel Keegan, co-head of Global Equities Citigroup. The 21st Anniversary Wall Street 50 honorees are featured in the September / October 2018 edition of the magazine, which also features a cover profile of Eileen Murray. For complete coverage of last year’s event, including photos by Nuala Purcell, click here. See below for video of Murray’s keynote remarks.